Our Staff | Torrance Plumbing Co. 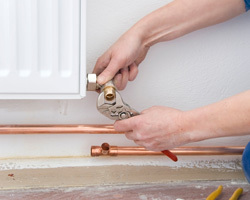 Your home or business should not suffer from such troubles as bad plumbing, poor temperature control or lack of air circulation. Remove these factors from the equation and receive superior results with us. We are on your side and want to see you comfortable in your own space. Contact or visit Torrance Plumbing, Heating And Air Conditioning today to schedule your next appointment!